Making the most out of a promotional marketing campaign means consistently staying on top of the latest seasonal trends. This can be the difference between success and failure when you are choosing products to promote your business. Thankfully, your friends at iPromo are here to help! The sun is shining, the temperatures are rising, and there are a ton of different promotional products you can choose from that will capitalize on the season and allow you to take your brand recognition to new heights. Below, you will find a few of the hottest promotional products for July 2018. When summer rolls around, there is always a need for products that provide entertainment as well as refreshment. That’s why the Soundwave Copper Vacuum Audio Bottle is perfect for the month of July and summertime. This intelligently designed promotional product is a water bottle with a lid that doubles as a Bluetooth enabled speaker! It’s perfect for the pool, barbecuing, golf course, or camping. Multifunctional products are always a great choice, because the more value you can add to someone’s life with a single product, the better chances that they will use it and help to provide additional exposure for your brand! During the month of July, people tend to spend a lot of time outdoors. Sometimes it’s not easy to find a place to sit down and rest during your travels. That’s why the Backpack w/ Integrated Seat is a fantastic choice for a promotional product to distribute during the month of July. 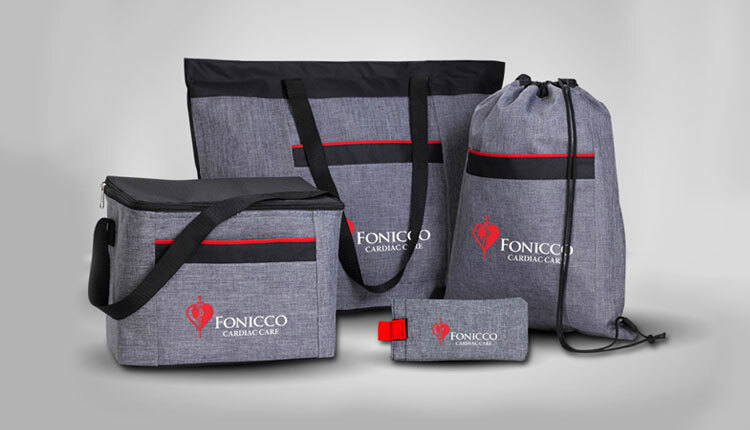 These promotional backpacks have a large storage compartment and several pockets for keeping belongings. It also has a folding seat that can provide some well deserved rest and relaxation during your travels. With all of the technology we are exposed to on a daily basis, sometimes it’s nice to get back to old fashioned pen and paper. The Marble Bound Journalbook is a great promotional product choice because it is useful and provides a large space to display your logo or brand name. However, this isn’t just a normal notebook. An eye-catching marble hard cover binds the pages together and gives these promotional Journal books a very classy and elegant appearance. Another hot promotional product for July 2018 is the 12 Can Paper Bag Cooler. Coolers are absolutely essential during the summer, and this one is quite unique. This cooler resembles the brown paper bags used to pack school lunches for kids. The retro feel will remind you of the good ole days. But this isn’t your boring old paper bag, this one will hold up to 12 cans and keep them cold thanks to it’s handy insulating technology. Original and unique items like this are always a great choice for promotional products! Imagine you are camping or spending time outside with your friends. The sun sets, and the temperature starts to drop at little bit. With the Rover Copper Vacuum Insulated Camp Mug, you can enjoy tea or coffee around the campfire and rest assured that the liquid inside the mug stays nice and toasty. That’s because this mug has copper insulation, which can keep beverages cold for up to 24 hours and hot for at least 6 hours. You really can’t go wrong with selecting a technology related promotional product to help increase brand recognition and spread the word about your company. That’s because pretty much everyone has a use for technology related items these days. These Dual Battery Bluetooth Earbuds are great because they provide over eight hours of playback time on a single charge. Their sound quality is excellent, and it’s the type of promotional product that will add a lot of value to the lives of it’s recipients. Bluetooth is certainly the future of audio products, so take a look at our other popular Bluetooth Earbuds, Headphones and Speakers. July means that the sun is out in full force. There are a variety of promotional products from iPromo that can make the summer months a little more enjoyable, but the Breathable Poly Twill Cap with Mesh Back is one of our bestsellers. It’s a simple concept: use a hat to block the sun! This stylish cap comes in a variety of colors and is a fantastic opportunity to promote your business or brand thanks to the large space on the cap where your logo or brand name can go. You can never have too many bags. They help us organize our lives and transport items with ease and style. Heathered items are very fashionable at the moment, and the Heathered Tote and Drawstring Bags from iPromo are sure to be a big hit for anyone that receives them. Choosing a promotional product that is stylish and useful is a great way to show your customers, clients, or target market that you really care about them. The only thing hotter than the month of July are the amazing promotional products mentioned above! Any of these items would be a great choice for promotional products during July 2018. If you’d like to receive a sample of the items mentioned above or discuss how we can create unique promotional products for your own unique business goals, please reach out to iPromo today!